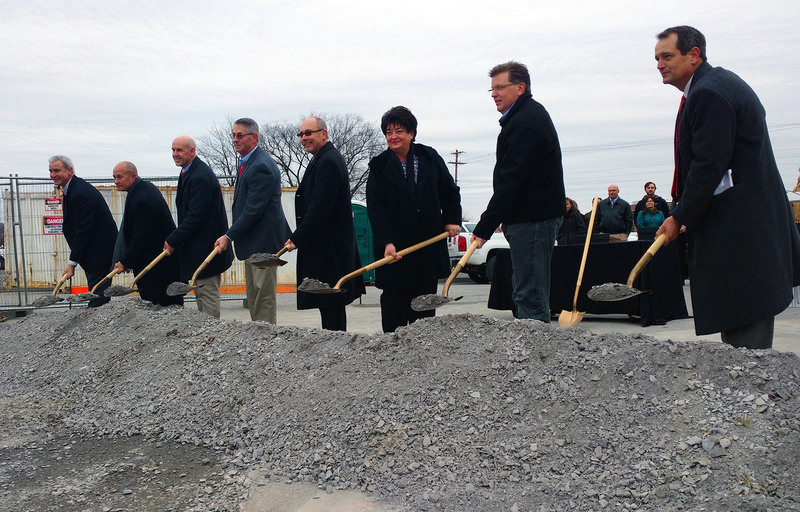 Northeast State’s Regional Center for Advanced Manufacturing (RCAM) held a groundbreaking ceremony Dec. 16 for a new 15,000 square-foot expansion. The expansion adds workforce development capacity adjacent to the existing 26,000 square-foot facility. The extra space will provide for expanded content delivery for both credit and continuing education programs. In addition, the project will also add Machine Tool Technology to the programs now offered at RCAM, significantly increasing the College’s machine tool capacity. The project will also allow for increased dual enrollment opportunities. Breaking ground on the RCAM expansion. Nov. 17 marked the first day of construction and the $2.6 million project is expected to be completed in August 2017. RCAM is Northeast State’s primary off-campus facility for training a qualified workforce for the region’s manufacturing sector. RCAM courses may be used to fulfill requirements for associate of applied science degrees and/or technical certificate programs offered in Chemical Process Operations, Electromechanical Technology, Electrical Technology, and Welding/Metal Fabrication. Expansion plans call for a two-story building. The first floor includes industrial-type labs with welding booths and machine tools, as well as tool storage rooms. The second floor includes six classrooms and additional staff offices. RCAM debuted in 2009 with 94 students and currently enrolls more than 500 students. The general contractor is Quesenberry’s, Inc of Big Stone Gap, Va. The project’s architect is Don Solt of Beeson, Lusk & Street. 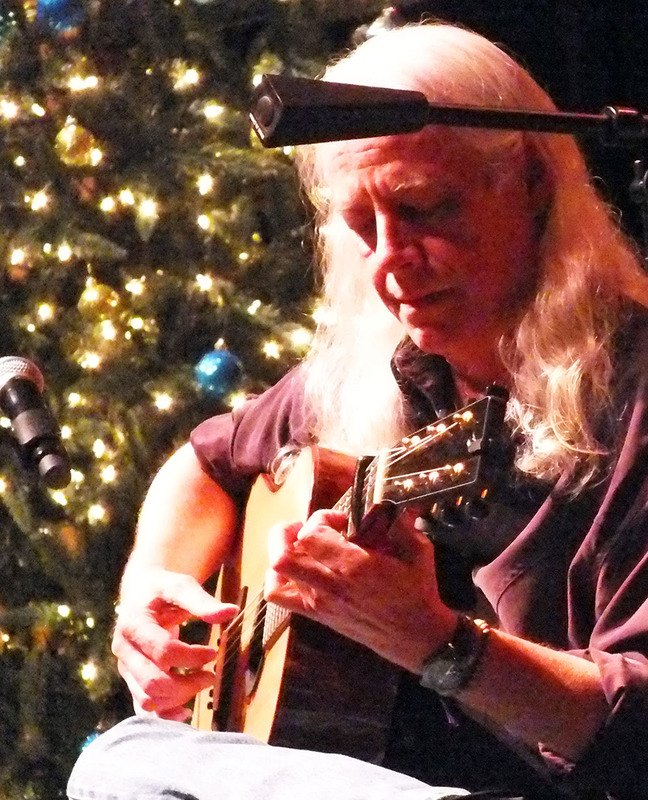 Grammy-winning guitar master Ed Gerhard returns to Northeast State for his annual Christmas concert performance on Dec. 11 at 3:00 p.m. in the Wellmont Regional Center for Performing Arts Theatre on the College’s Blountville campus. Gerhard will perform instrumental Christmas and holiday favorites as well as selected original works. From Tokyo to Rome and venues across the United States, Ed Gerhard’s music has touched audiences all over the world. Performing on 6-string, 12-string, slide guitar or Acoustic Hawaiian Lap Slide, Gerhard captivates his audiences with virtuosity, generosity and sly humor. Based truly on the quality of his work, Gerhard built his considerable reputation, beginning with his debut album Night Birds in 1987. It garnered a spot in the Boston Globe Critics Poll Top 10 Albums of the Year. He followed that up with Christmas featuring a selection of holiday favorites. His subsequent albums Counting the Ways and On a Cold Winter’s Night cemented Gerhard’s status as one of the top guitarists of the modern era. Doors open at 2:30 p.m. Admission is free and open to the public. For more information, www.virturerecords.com. For additional information about the concert, contact 423.354.2449. Northeast State wraps up 2016 after a yearlong celebration of its opening 50 years ago. From Tri-Cities Area Vocational-Technical School to Northeast State Community College, our institution celebrated its 50th anniversary in 2016. The small vocational school opened for classes in 1966 with two buildings, six program, and just north of 30 total students. Today, the school functions as a comprehensive community college with five campuses, 150 academic programs, more than 6,000 enrolled students, and a national alumni directory. Below are a few highlights from the year. 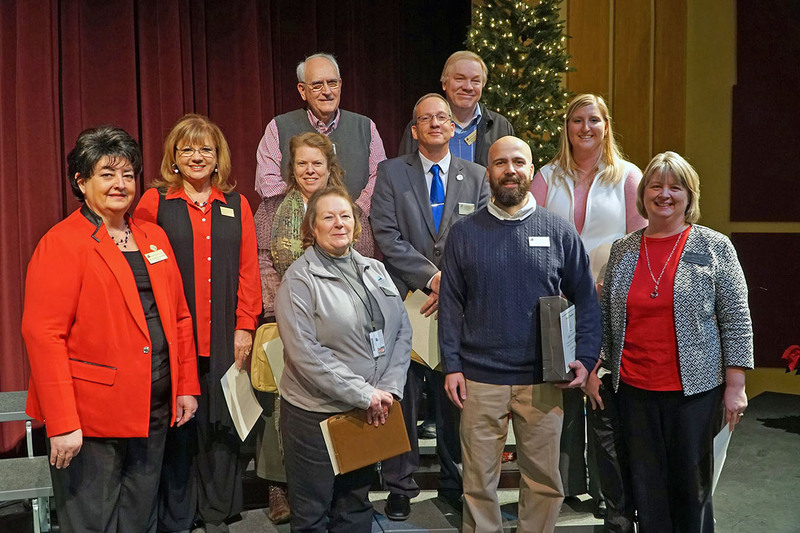 Northeast State at Elizabethton will celebrate two decades as a higher education fixture in Carter County with the campus’s 20-year anniversary this spring. The campus will celebrate the anniversary throughout the year in conjunction with the College’s celebration of its 50th anniversary. The Elizabethton campus received high marks from students over the years. A student satisfaction student released in 2010 reported 98 percent of enrolled students would recommend attending Northeast State to friends. 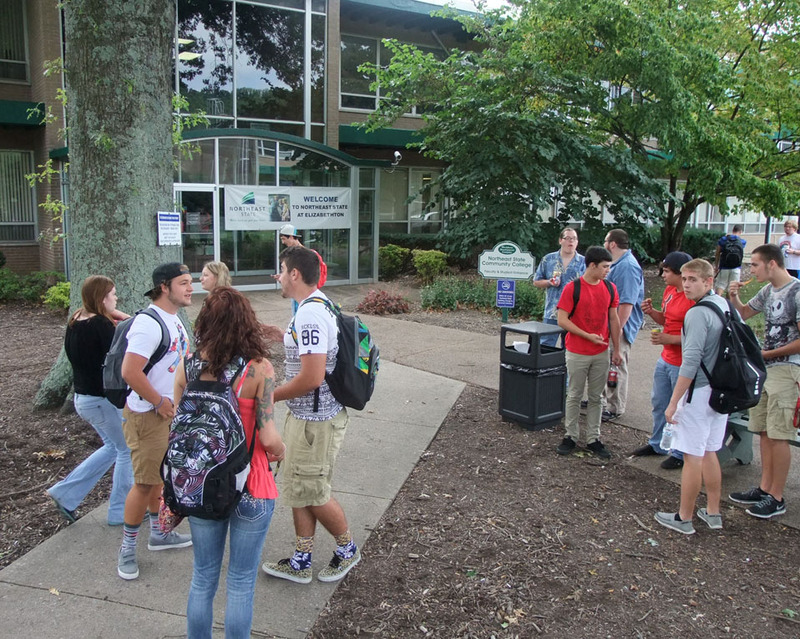 Northeast State at Elizabethton successfully enrolls hundreds of students each semester. Rising country performer Courtney Cole performed at the WRCPA Theater in April to raise awareness of educational opportunities for U.S. veterans in Northeast Tennessee. The concert was sponsored by Northeast State and the CMT Network. Northeast State partnered with CMT’s Empowering Education initiative and the American Association of Community Colleges to increase visibility for education and rural workforce challenges. Northeast State was named as a new Tennessee service provider for adult education services. The College is one of eight service providers announced by the Tennessee Department of Labor and Workforce Development (TDLWD) to coordinate adult education programs in each of the state’s 95 counties. Northeast State was awarded a $798,000 grant to oversee delivery of the program. The College now serves TDLWD District 1 which includes Carter, Greene, Hancock, Hawkins, Johnson, Sullivan, Unicoi, and Washington counties. Northeast State’s Advanced Technologies Division has announced the addition of a new associate of applied science degree program in Aviation Maintenance Technology. The two-year degree was approved by the Tennessee Board of Regents in spring 2016. Created through a partnership with the Bell Helicopter aeronautics company, the Aviation Technology program seeks to fill the demand for aeronautic mechanics in the regional and national workforce. The two-year degree program requires students to complete 63 credit hours of core curriculum courses and aviation-specific courses. The College began offering a 29-credit-hour technical certificate program in Aviation Technology in fall 2015. 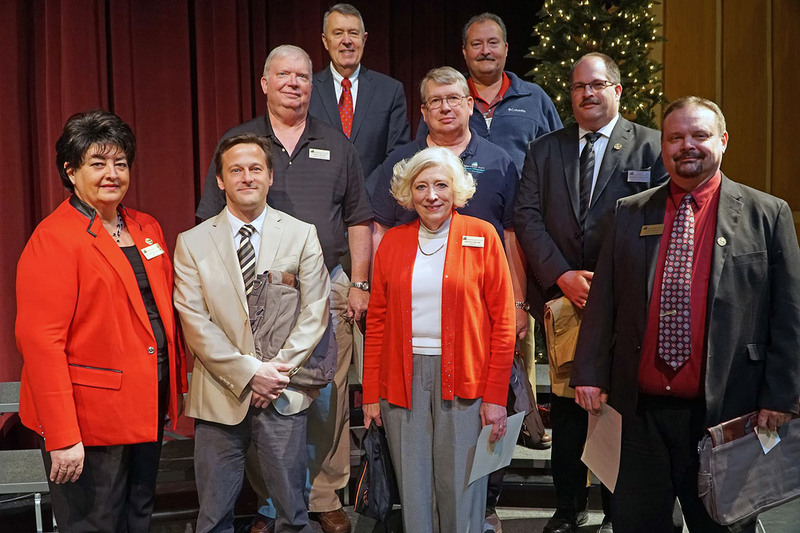 The Tennessee Board of Regents held its regular quarterly session at Northeast State on June 24, following a day of committee meetings on June 23. Committee meetings will begin at 1 p.m. EDT Thursday in the 1st Floor Theater of the Wellmont Regional Center for the Performing Arts. Committees will meet in this order: Audit, Finance and Business Operations, Personnel and Compensation, Academic Policies and Programs and Student Life, External Affairs, and Workforce Development. Members of the TBR and Northeast State faculty and staff. Hundreds of people attended Northeast State’s 50th anniversary Homecoming event on Sept. 29 with a free concert from The Breakfast Club and the Grammy-nominated band Fastball. Northeast State presidents (from left) Janice Gilliam, William Locke, Wade Powers, and James Owen. The day opened with four living Northeast State presidents Drs. 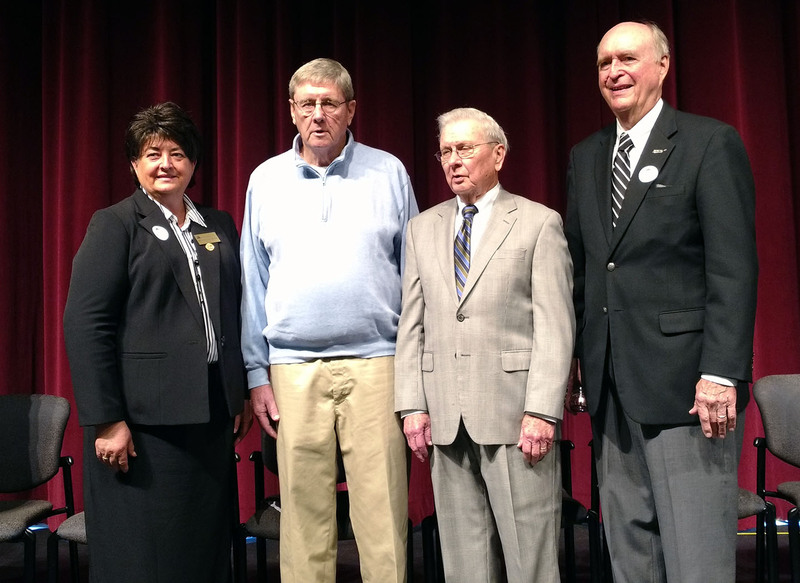 Wade Powers, James Owen, Bill Locke, and Janice Gilliam reflecting on the growth of the College and their years of service at Northeast State. The homecoming and concert also celebrated the Northeast State Foundation’s annual Because of You Campaign (BOYC) week, designed to allow the College’s clubs and organizations to raise funds for scholarships, programs and projects. The National Science Foundation awarded Northeast State a $190,000 grant to recruit high school students and prepare them for careers in cybersecurity. The two-year project will combine technical, entrepreneurial, and soft skills training to produce well-round professionals who can not only solve technological issues, but also work well with individuals and teams to identify and fix problems. Associate Professor of Computer and Information Sciences Allan Anderson is the project’s principal investigator and he will be assisted by Dr. Carol Cole, co-principal investigator and professor of Management. Cyber Defense is a growing career field. 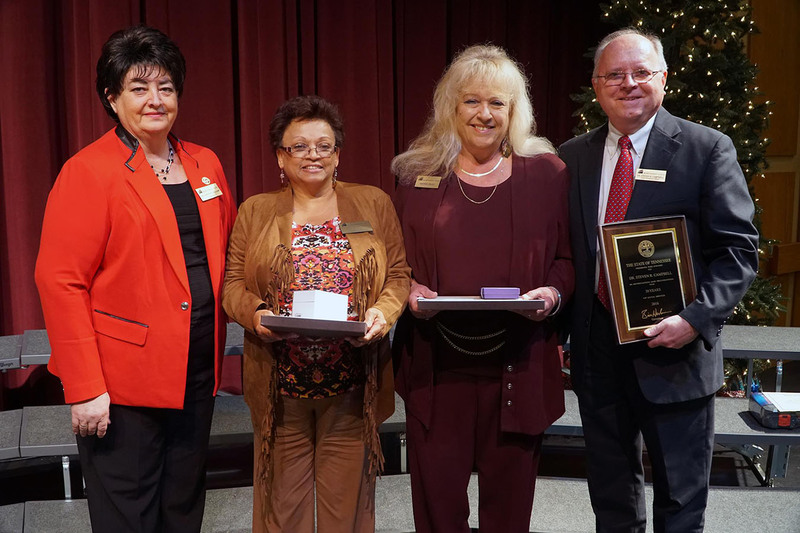 Northeast State named top blood drive sponsor among area collegesNortheast State Community College was named top blood drive sponsor among area colleges and universities recently at the Marsh Regional Blood Center’s annual awards luncheon. In 2015, the College collected 443 units in drives on the College’s various campuses. This is the third year in a row the College has ranked number one in donations. Northeast State Community College wrapped up its year of events to celebrate its 50th anniversary today by burying a time capsule. The 20 items buried in the capsule behind the Wayne G. Basler Library included a 50th anniversary pin, a copy of the 1966-67 college catalog, the college’s first administrative staff photo from 1966, a selfie stick, and a jump drive. The 50-year Northeast State time capsule. 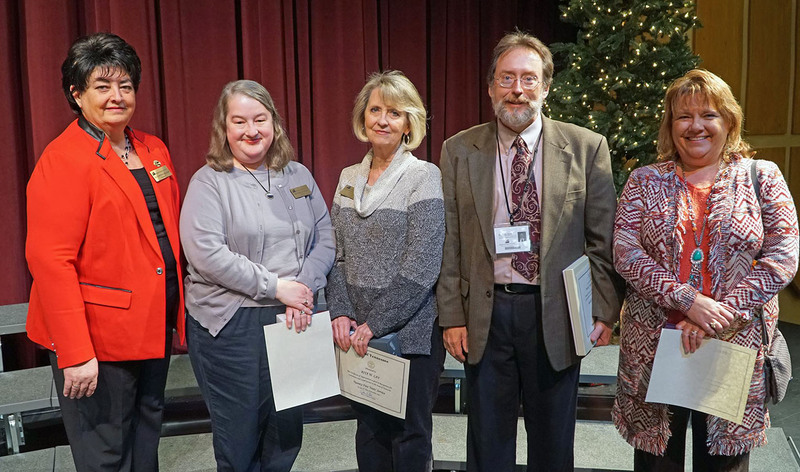 Dawn Dabney, John Grubb, Rita Lay, Lisa Rowland, and Michelle Wyatt. 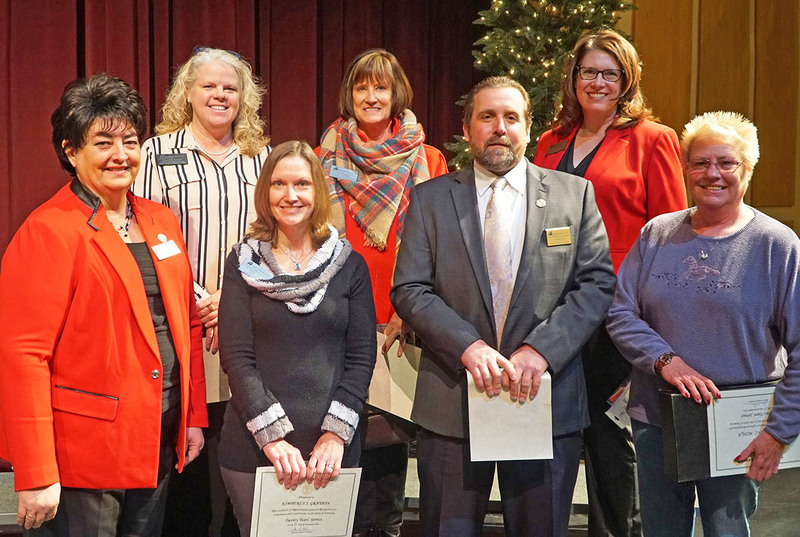 Robin Byrne, Misty Carriger, Robert Loveday, Kathy Minga, Teressa Nidifefer, Dan Perry, Sharon Riddle, Sam Rowell, Rose Spangler, and Malissa Trent. Allan Anderson, Daryl Bacon, Tonya Cassell, Christopher Demas, Eric Fish, James Henson, Brian Johnson, Randal Jones, Betty Mask, Shirley Morefield, Eric Morritt, and Joan Willis. Railene Anderson, Deloros Campbell, Jeff Coalson, David Cook, Louise Dickson, Julie Dykes, Tom Huskisson, Jill Montgomery, Nona Shepherd, Derrick Thacker, Catherine Strain, and Megan Jones. 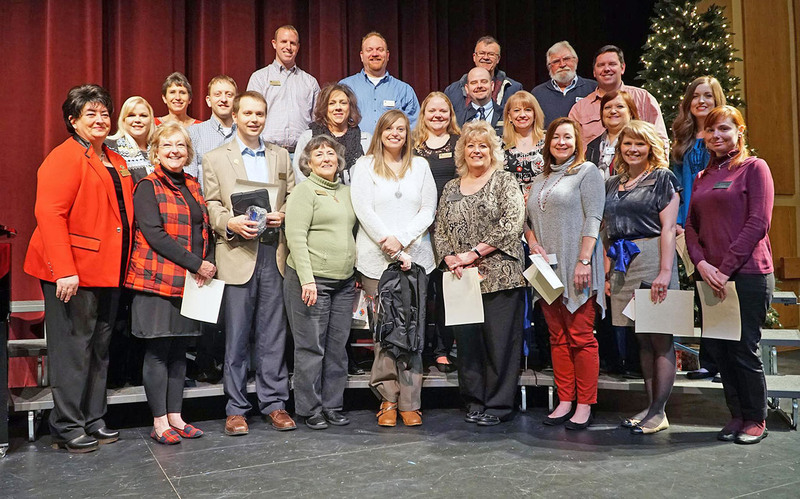 Amanda Adams, Sheila Bray, Kathy Cox, Kathy Albright, Mitzi Daniel, Kelly Barton, Ruth Davis, Rebecca Bennett, Kerry Dykes, Brandon Burleson, Nathan Ford, Tabetha Garman, Paula Johnson, Heidi Lyon, Dale Ledford, Deborah Marsh, Jeremy Maskew, Logan Mason, Robin Matthews, Shelby McKenzie, Jonathan Moore, Greg Osborne, Mike Pagel, Jason Penwell, Audrey Peters, Dianna Presley, Melissa Ramsey, Samantha Rowlett, Jessica Ward, Carol Weems, and Robert Wilson. The College also paid tribute to Patty Haynes and Jeff Odom both of whom passed away within the past year. Both Patty and Jeff were beloved and well-known members of the Maintenance Department.